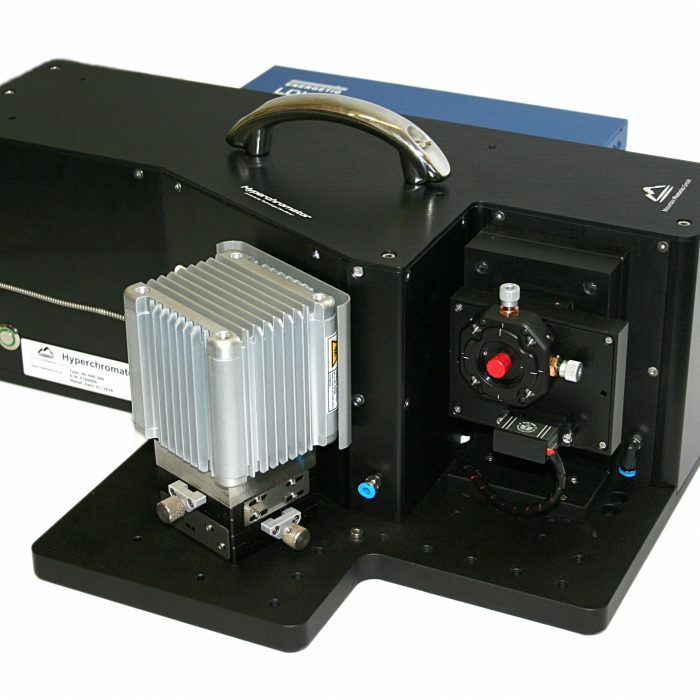 This monochromator has been developed and optimized specifically for ENERGETIQ’s laser-driven EQ-99X LDLS™ lightsource. 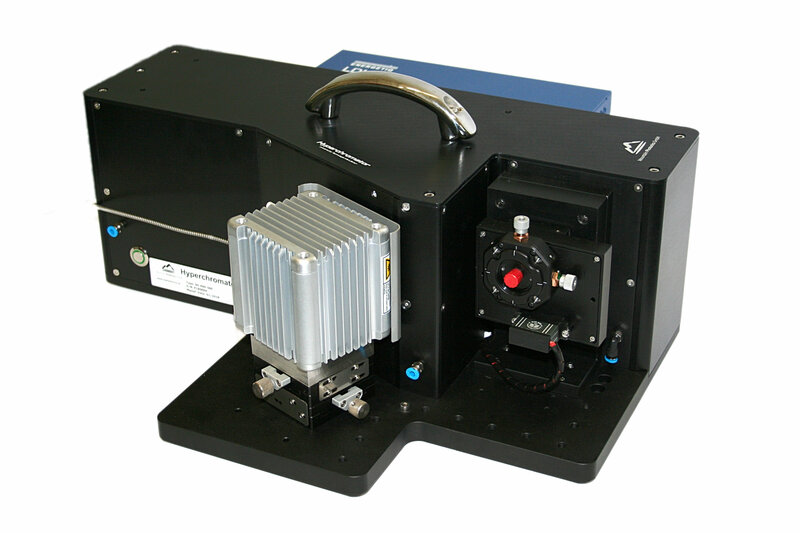 Due to its extremely high luminance, the EQ-99X is especially well suited for generating monochromatic light in the wavelength range 200 nm – 2200 nm (UV/VIS/NIR). Bandwidths of 0.5 nm to 10 nm are possible. The light is collected directly from the plasma of the lamp with an aperture of up to f/1.5 without using an additional entrance slit. This makes this tunable light source very efficient. 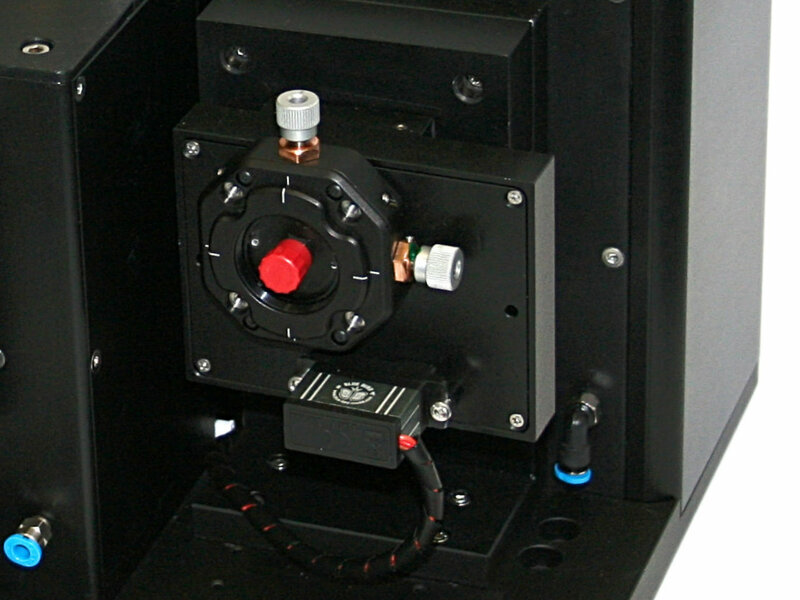 In order to easily integrate the monochromator into your setup, the optical output is designed for compatibility to common catalog components which can be installed directly. 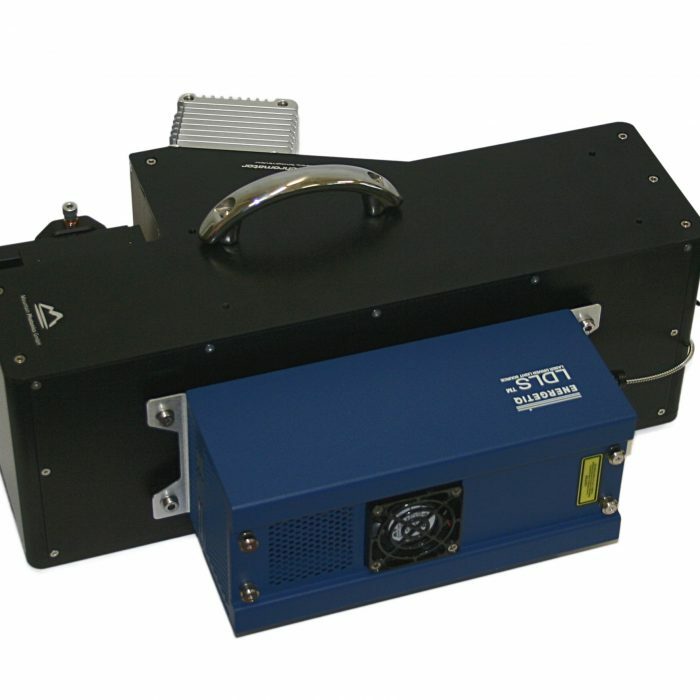 Standard configurations are fiber coupling, free-beam output with (adjustable) slit or collimators with different focal lengths. 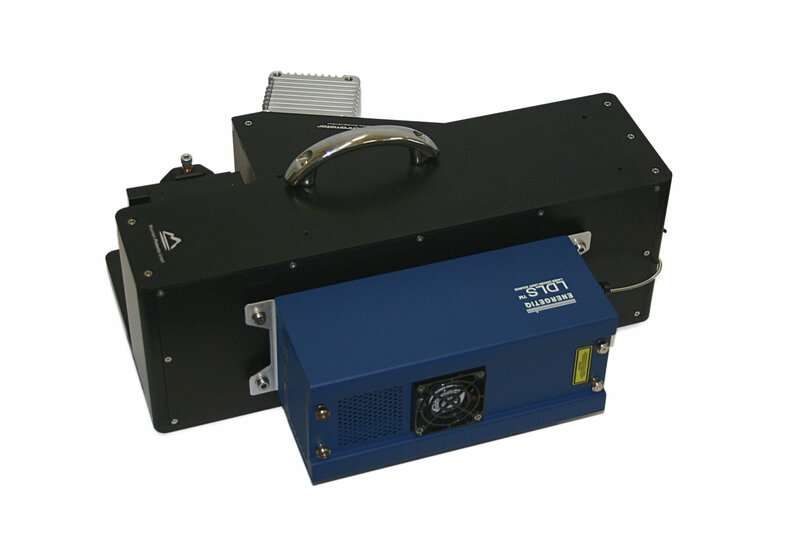 Parallel to the optical output, power and wavelength monitoring is optionally possible. The wavelength is selected via USB interface from the PC or laptop. An easy-to-use software is provided. External control and integration into a larger system is possible via LabVIEW, Python etc. Optical output Optical quartz fiber, SMA or FC, 100-400µm core, or free beam output with adjustable slit or various collimator options. Spectral power monitoring on request. 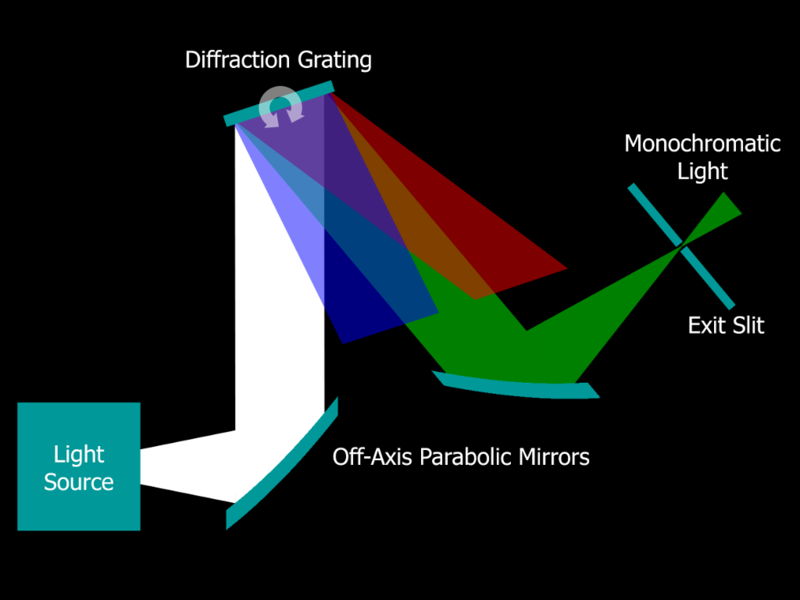 The gratings built into the Hyperchromator determine the bandwidth and output power for a specific wavelength. The Hyperchromator comes as single- or dual-grating device. 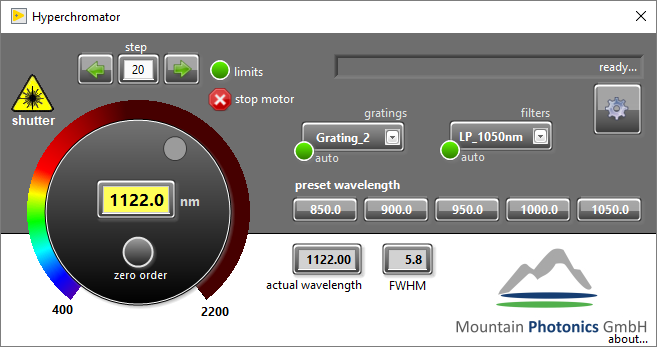 Dual-grating allows operation of two gratings for a wider usable wavelengths range or for using two different bandwidths. 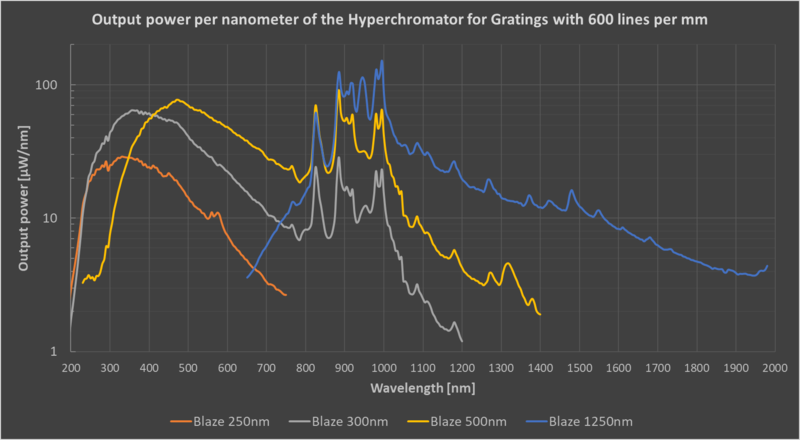 Gratings with 600 lines per millimeter (l/mm) allow bandwidths from 2-6nm, while gratings with 1200 l/mm could be used for bandwidth ranging from 1-3 nm. The variation of the bandwidth is depending on the size of the exit slit and the diameter of the used fiber. It is also possible to use gratings with 1800 or 2400 l/mm to realize smaller bandwidth. The gratings have a so-called blaze wavelength. At this wavelength, they are optimized for efficiency. 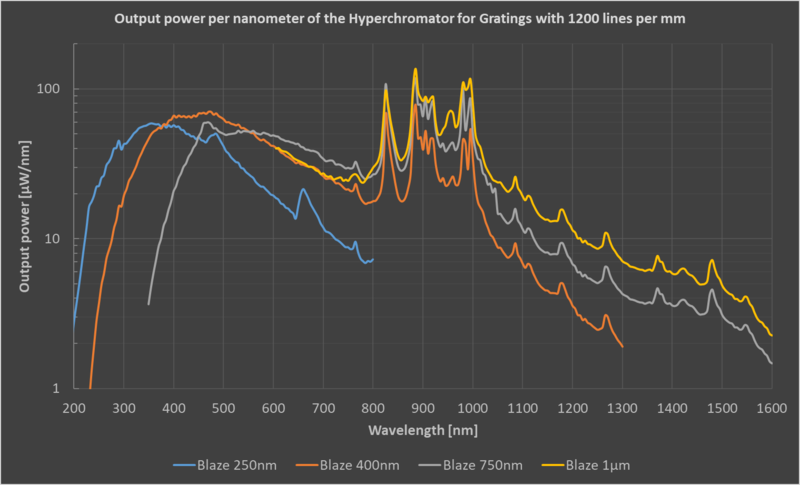 The graphs below show the approximate output power per nanometer for different gratings. If you intend to use a bandwidth of 5nm, you would multiply the specified value by 5.